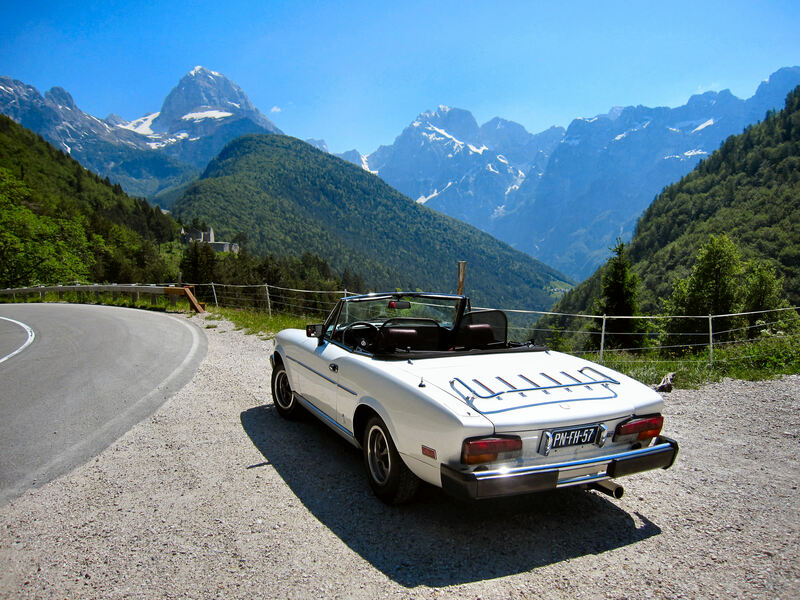 "The design of the Fiat 124 spyder has a somewhat interesting aspect in that the theme for this car is derived from a Chevrolet Corvette concept proposal from Pininfarina. 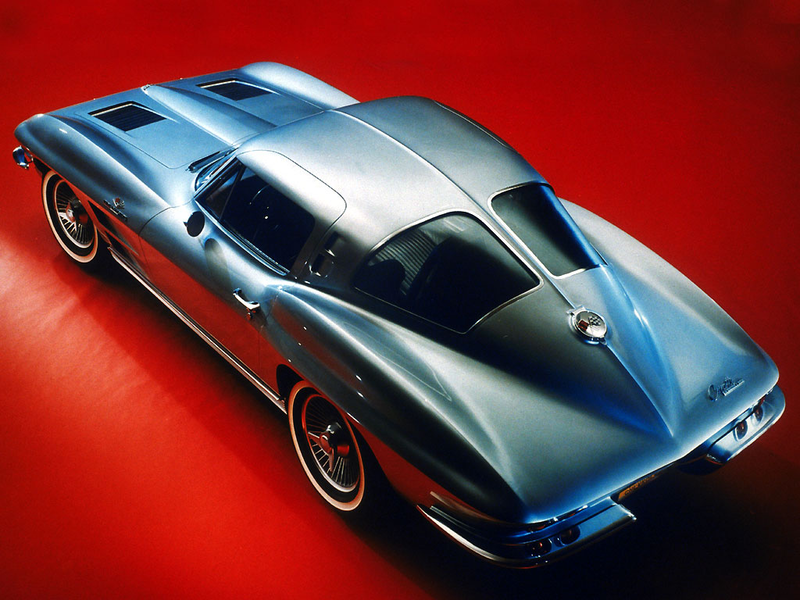 It was wintertime in 1963 when I was handed a drawing of the CORVETTE STING RAY chassis and began making idea sketches including a 1:4 scale model of a concept car to be shown in the Paris Auto Salon that October. My design was the one selected and the full size running prototype completed for the show. Every so often Battista Pininfarina ( the name had been officially changed now ) would come to the factory to check on things. He was somewhat retired but still followed every aspect of the business, also because he still had that "eye" for proportions, forms and everything else which made his name so important all over the world. It so happened that one time he asked the modelers to slim down the sides of a wood buck however being such a slight change was left as is and so happens that it went undetected by the "maiestro". The prototype was then built and before the final painting Pininfarina painfully said that he had made a mistake that it needed to be slimmed down just a bit more - this time they did just that!! He had a fantastic eye and so did Martinengo and so being in this kind of company was learning very quickly. 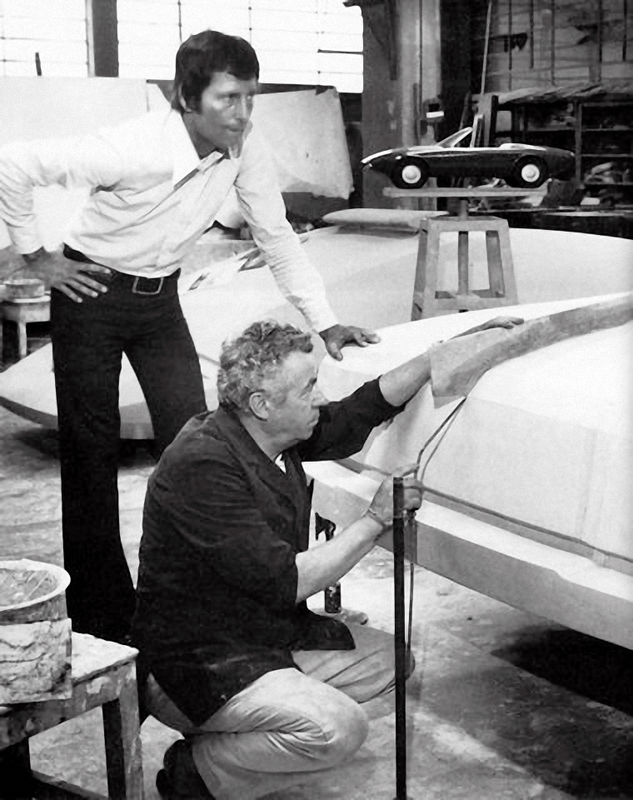 MARTINENGO ( photo with Tom Tjaarda - left ) would take me into the workshop and point out little things like door cut lines which must be seen from every angle, the sometimes strange twist in the window pillars, the rounded surfaces that had to be just right and not too flat or bulbous, everything had to be in harmony, even the angle of the exhaust pipe. The Corvette was given the name of CHEVROLET CORVETTE RONDINE PININFARINA COUPE or Swallow because of the dovetail form of the rear fender treatment. This vehicle participated in many Automobile Salons that year after the Paris show and seemed to be destined to end its days in the prototype storage facilities at Pininfarina. Actually, it really did not look like a "Corvette" and thus General Motors was not too interested to pursue further development of this car. On the other hand the directors a Fiat thought it had a unique look to it and asked Pininfarina to use the design idea for their future spyder. Thus the idea for the 124 spyder was born from this Corvette. My next assignment was to take this theme and prepare full size drawings to construct the wooden model".